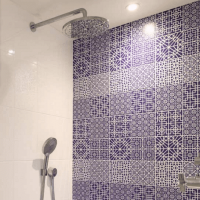 A Victorian Blue Tile – panel sample will give the appearance of a tiled wall but with the convenience of easy installation and the benefit of huge cost savings. See the product before you purchase a main order. 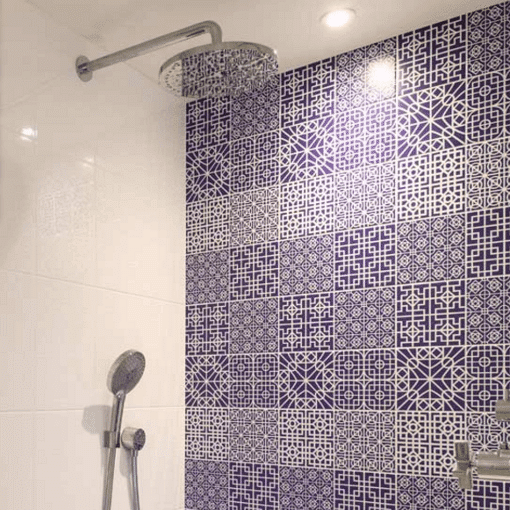 Our easy install tile panels (suitable for kitchens & bathrooms) are a patented, high performance, fast fit and maintenance free wall tile paneling system. This makes them the leading alternative to bathroom tiles, or kitchen splashbacks. Our easy install tile panels (also suitable for kitchens & bathrooms) are between 2 and 3 mm thick so they maximise your room space. Easy to cut and fit they can be joined like a jigsaw. reducing waste and cost.